Forsyth County Parks & Recreation just released the Old Atlanta Spray Pad 2019 Season dates. 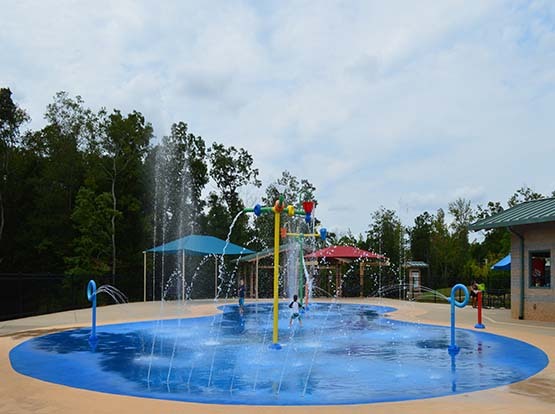 The Old Atlanta Spray Pad will be opening on May 25th for the summer season! My kids LOVE this spray pad, and I admit, I do too! So we’ll definitely spend time there this summer. For more photos, information, and even some personal tips & tricks – be sure to read about our visits to the Old Atlanta Spray Pad. They will begin taking private rental requests on April 15 for the 2019 season. Are you really closed for winter?